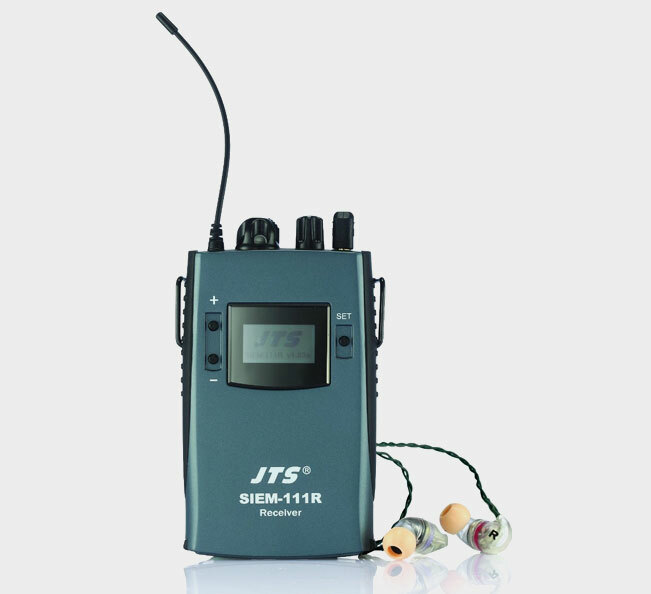 The SIEM-111 System features reliable JTS UHF PLL technology. There are 961 selectable UHF channels available. As many as 16 sets of SIEM-111T transmitters can operate on the same stage. The system offers 4 groups, with each group having 16 compatible preset channels to choose from. This allows the monitor engineer to set up systems quickly and easily. MPX Stereo Audio Transmission / Reception, switchable to Mono operation if desired. All metal case construction on the SIEM 111R and SIEM 111T. 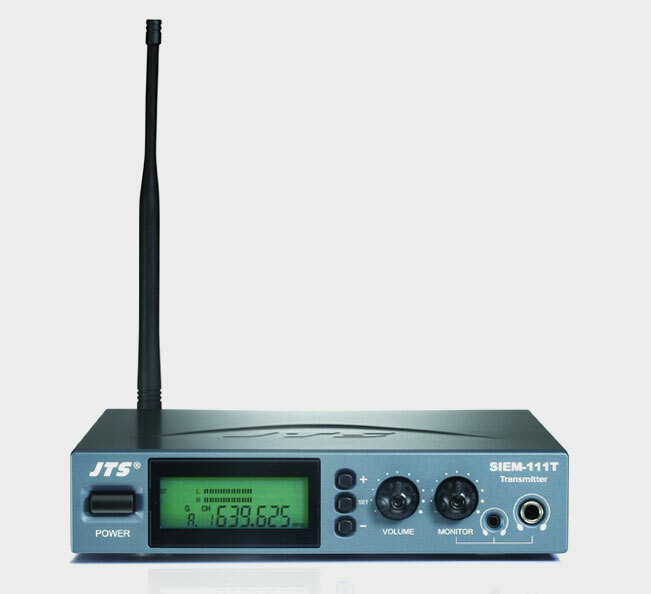 The JTS advanced circuitry assures outstanding signal-to-noise ratio. 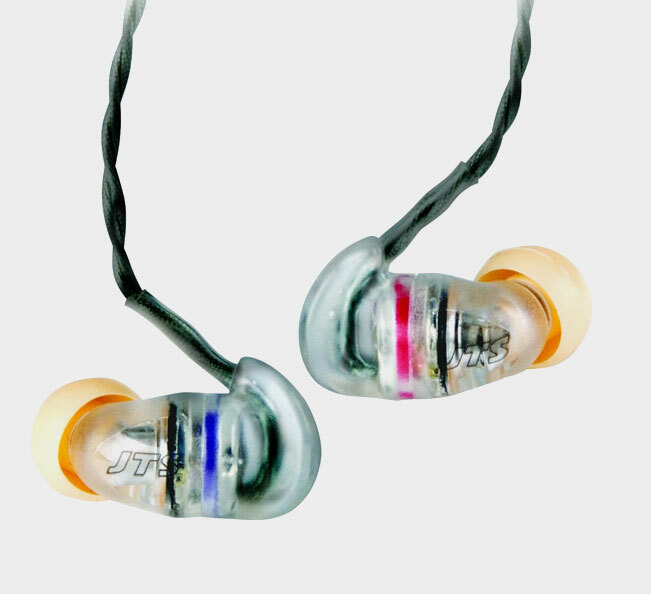 IE-1 and IE-6 earphones seal off the ear canal with JTS designed Dyna-Driver ear buds which reduce undesired stage noise, ambient sound levels. 3 pairs of different sized Silicon sleeves included with the IE series earphones ensure a right fit for the users ear canal and comfort.